Images of modern skyscrapers and iconic landmarks such as the ArtScience Museum and the Supertrees at Gardens by the Bay may bring to mind a Singapore that’s short on nature. But for families who are planning to move to Singapore, you should know that this could not be further from the truth. In fact, if you’ve ever visited or lived in Singapore, you will find that not only is the city-state one of the safest and cleanest cities in the world, it is also wonderfully green. There are recreational parks, sandy beaches, bicycle trails and walking trails scattered throughout Singapore and completely free. If you want your children to be able to spend time engaging with nature, here are 6 interesting local farms that will have something for everyone. 3 Lim Chu Kang Lane 4, Singapore 718859. Tel: (65) 6792-0931. Operating Hours: 9:00am to 4:00pm daily. Closed on Tuesday. If you would like to catch the milking process, head on over to Hay Dairies as they open; the adorable goats are fed between 9 and 10:30 am in the morning. Each goat at the dairy produces about 3 litres of milk every day. After the milking, feel free to roam around the farm and check out the goats relaxing in their barns. For $5.50, you can buy a pack of alfalfa hay and have a go at feeding the goats yourself. 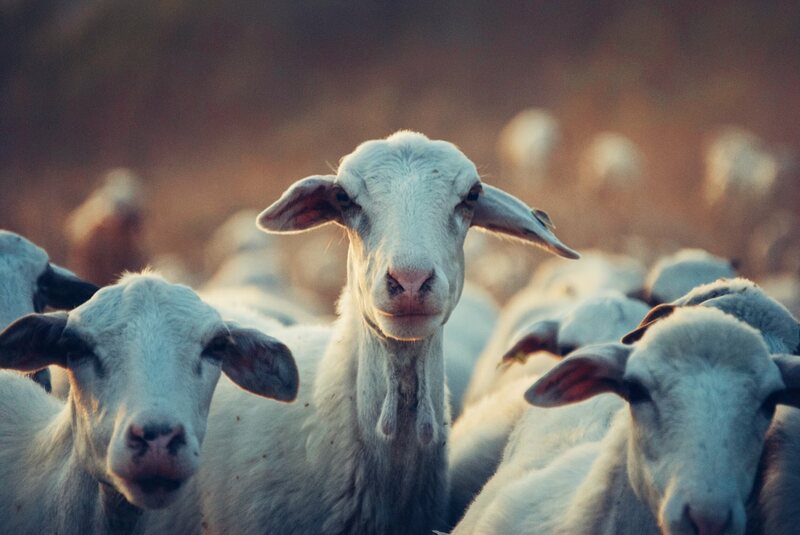 The goats here are well-nourished with GMO-free, protein-rich alfalfa hay from the US and a special grain-based feed from Australia so you know you’re getting good quality goat’s milk. Nothing beats getting fresh goat milk straight from the farmers so you may want to grab a bottle of goat milk (plain or chocolate-flavoured) or two on your way out. You can also check out their souvenirs and merchandise, which includes handmade goat soaps. 100 Neo Tiew Road, Singapore 719026. Tel: (65) 6898-5001. Operating Hours: Wed to Fri, 7:00am to 5:30pm; Sat, Sun and PH: 7:00am to 6:30pm. Closed on Mon and Tue (unless PH). Bistro Hours: Wed to Sun and PH, 8:00 am to 4:30pm (last order) on weekdays, and 5:30pm (last order on weekend and PH). Nestled in a quiet spot in Kranji, this farm doesn’t just offer fresh organic produce; it also runs culinary classes and houses a small museum. Onsite is also a bistro, Poison Ivy, that provides a farm-to-table experience featuring local and fusion dishes, such as nasi lemak, laksa and even fresh bread dressed with herbs taken straight from the garden. Here is where you can also pick and choose from over a hundred different edible herbs and plants such as basil, lemongrass, sweet potato, pumpkin, fig, aloe vera, ginger and over 20 different types of bananas! 51 (Plot 56) Lim Chu Kang Lane 6, Singapore 718864. Tel: (65) 6791-7229. Operating Hours: Sat, Sun and PH, 9:00am to 5:00pm. Tue to Fri, only by appointment. Closed on Mon. There are over a whopping 10,000 frogs in this farm, so if you have any issue with this particular amphibian, you may just want to give this one a miss! To feed and touch the frogs, you can sign up for what they call a Frogology tour. When it’s open to the public on weekends, you can also buy frog feed at the farm and try your hand at feeding them. If you’re keen, you may even want to put on some boots and get into a pen with the frogs in an attempt to catch them. As with anything Singaporean, food is never far from our minds. If you can stomach the idea, you can also have a taste of deep-fried frog meat or a bowl of hashima (dried fatty tissue that is located around a frog’s fallopian tubes) for dessert. 81 Seletar West Farmway 5, Singapore 798061. Tel: (65) 6482-1160. Opening Hours: Mon to Sun, 10:00am to 6:00pm. Closed on Mon. The Animal Resort is technically more of a petting zoo than a farm as the animals here aren’t reared for food. Here is where you get to see a bevy of adorable wildlife such as a number of exotic bird species, ducks, geese, chickens, rabbits, guinea pigs, fish, a cassowary and a horse. You may also purchase animal feed while you are there, so the kids can also have the opportunity to feed and interact with the animals. 71 Jalan Lekar, Singapore 698950. Tel: (65) 6766-7087. Opening Hours: Mon to Fri, PH eve, 9:00am to 6:00pm. Sat, Sun and PH, 9:00am to 7:00pm. Closed during the first 3 days of the Lunar New Year. Qian Hu is one of the biggest ornamental fish farms on the island with many different types of marine life on display, from fish to rays to coral. For a small fee, you can book a guided tour of the farm. Besides that, the kids can enjoy some fishing action at a longkang ( just like their grandparents did when they were a kid living in a kampong) and you can have a go at the fish spa—if you’re not squeamish! Free shuttle buses are available to ferry you to the farm. For more information on that and more, do visit the website.